Stunning two bedroom apartment on a good place purpose-built building featuring two private balconies, Lutron lighting and electronically controlled blinds.Very large living room with ample space to dine.Lutron electronically controlled lighting throughout. Includes one underground car parking space.Please contact our consultant for availability. 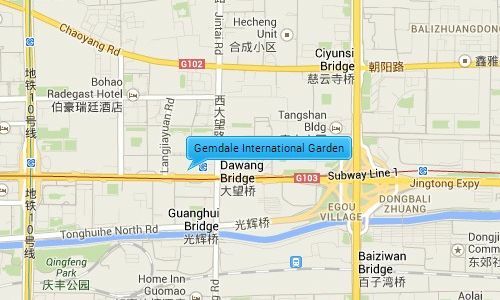 Gemdale International Garden is located in the CBD area 800 meters from Guomao Trade Circle opposite the SOHO New town. It is near to the 2nd Ring Road giving it easy access to the international airport and other key locations within Beijing. There are many international shopping malls, restaurants; fitness centers hospitals, and supermarkets surrounding the compound.